The Danish educational company Savivo launches an Indiegogo crowdfunding campaign (Find preview of the project here) to fund an innovative learning project. The Mingoville Fun Clock App and #EduWatch is a unique educational idea that combines online learning with real practice. “We have been working for a decade in the field of primary digital education and we have noticed that at this young age children forget things really quickly. But if they learn by doing, the memory retention rate is up to 70%. That gave us the idea of completing the learning process of how to tell the time with the Mingoville Fun Clock App and with a real watch,” says Savivo’s CEO Stephan Stephensen. 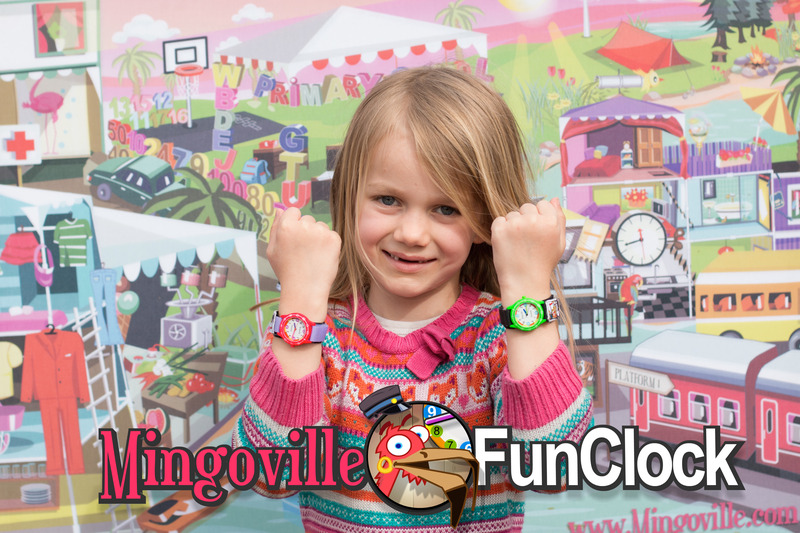 As visual memory is very important for children, the Mingoville #EduWatch is specially designed to look like the clock in the Mingoville App, so children can make the connection between what they have seen in the app and the physical watch on their wrist. This also completes the natural process of learning how to tell the time with the Mingoville App and practicing the newly acquired skills with the #EduWatch. With the launch of this Educational Indiegogo Project, Stephensen’s goal is to show that Edu games and projects can and should be as successful as entertaining games and high-tech gadgets. “Indiegogo is already a popular crowd-funding platform for different gadgets and games, that are very successful. We want to prove that the Education section can compete with high-tech projects too. After all, since everyone cares about children’s education, what better platform than crowd-funding?” says Stephensen. All the contributors for this project are rewarded with access to the Educational Games right away. The perk levels start at only $3, but no matter how much is pledged, there will be at least one digital game for every contributor. “We believe our project has a worthy cause: promoting digital education. That is why we are happy to support it and give our games away. And we hope our contributors and fans will join the pledge too!” says Stephensen. The #EduWatch comes in a variety of colors and the Indiegogo price starts at $25, whereas the expected retail price is $50. The goal of the project is to fund the production of the Mingoville #EduWatch, which is specially created for children. It is ready to handle the daily challenges of the playground: it is shock-resistant, waterproof (3ATM) and tested for Nickel allergies. The watch has a fast wrap strap, so even the youngest kids can easily put it on. “We have the designs and prototypes ready. Now we just need to fund it!”, says Stephensen. A frequent guest speaker on e-learning, m-learning, digital education games technology, Stephan Stephensen founded Savivo in early 2000s in Copenhagen, Denmark, which was a milestone in revolutionizing English and Math learning in classrooms with award-winning mobile apps and web-based products. His work has been recognized by awards such as the “Danish Mobile Award“ 2011 for making an extraordinary impact in mobile technology and the “Best MoBiz and Innovative Enterprise Award” at the Global Mobile Internet Conference, Beijing, China 2013. Savivo is a digital educational provider. As an award-winning education e-games and apps developer, the company has the winning formula to create fun, innovative and savvy games for kids. Savivo’s best¬sellers include Mingoville English, Mondiso Math and Fun Clock. As you might have seen, Savivo have just launched a campaign for the #EduWatch, the physical companion to our Mingoville Fun Clock App. The means of achieving that goal is IndieGoGo, a crowdfunding website. Crowdfunding is a novel and fairly new way of financing various projects. Crowdfunding is about going directly to the consumer and asking ”Do you like this project enough to pay for it, even if it doesn’t exist yet?” Thousands of enthusiasts, philanthropists and just people who wants to see something come true can band together, and make something come true. Big projects, ranging from software, books, music and movies have all been funded by crowdfunding, and now, if we have something to be said, education will be crowdfunded too. In our case, there is no risk. You won’t pay ANYTHING if our campaign fails. If we don’t reach our goal, you won’t miss a single cent. And when our campaign succeeds, we are ready to start producing the watches. Actually, as soon as our campaign is over, we will start getting the watches made. The prototypes are done, packaging is designed and we only need the last push. Except for a watch for your child, and most of our products ready for use? If that isn’t enough, contribute to the campaign to show that educational content has its niche in the world of crowdfunding. Educating children is our most important task in the world, and if we can start by just crowdfunding a watch and the software, which will make learning easier, we’ve had a very good beginning. Okay, I’m Convinced. Can I Help? The biggest help you can give us, besides buying a watch, is by spreading the word. Share the project with friends, on your Facebook and let people know, that this is a good project. The more people who sees this, the better! If just north of 300 people want a watch, our campaign will succeed! So visit our campaign here: http://bit.ly/1t2s8hN, watch the Youtube video we’ve made below, and thank you for being interested in children’s education!